LOS ANGELES, CA, August 20, 2018 — Kenya LaShelle Elliott is a Business Owner, a Lifestyle and Wellness Coach, and an International Bestselling Author. In Kenya's new book, “What If? 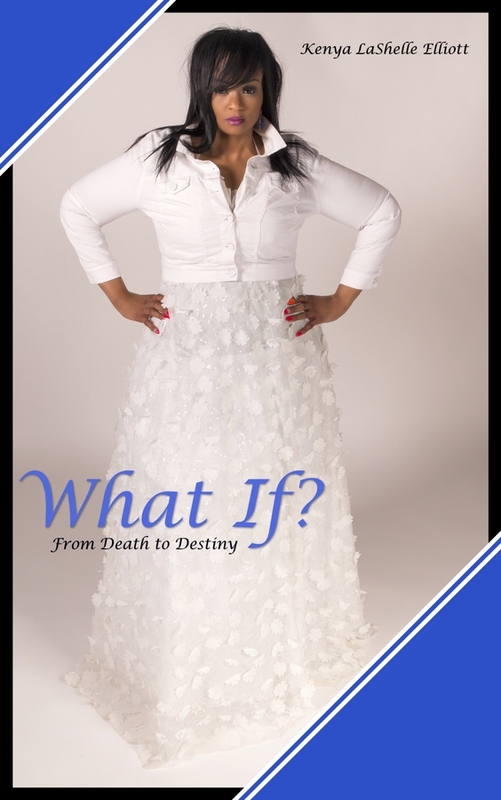 From Death to Destiny,” she shares her skills and key concepts that led to her 450-pound weight release and saved her life. This book will challenge you to explore your heart, dig deep into your mind and excel beyond your Current situation or circumstances by challenging self-limiting thinking and behaviours that prevents you from reaching your God-given destiny. Kenya's book is now available on Amazon: https://amzn.to/2M9JSsQ. Kenya LaShelle Elliott was born in Louisville, Kentucky and she is the youngest of three girls. She is newly married and lives in Mesa, AZ with her husband, Todd Elliott. She is a mother and grandmother to four beautiful girls. She's been living in Arizona for over 17 years, and she absolutely loves it. She enjoys singing, dancing, writing poetry, serving others and all things about beauty (makeup, hair, and fashion). She completed her Bachelor's Degree in Psychology from Eastern Kentucky University, followed by a Master's in Professional Counselling from Argosy University. She specialized in Clinical Psychology and Behavioral Analysis for over 15 years with expertise in severe mental illness, behavior modification, and personal development. She is a member of the Prestigious Zeta Phi Beta Sorority Incorporated and an active member in her Church. She released 450 pounds using nutritional cleaning in 3 ½ years and now being active is her favorite part of life.